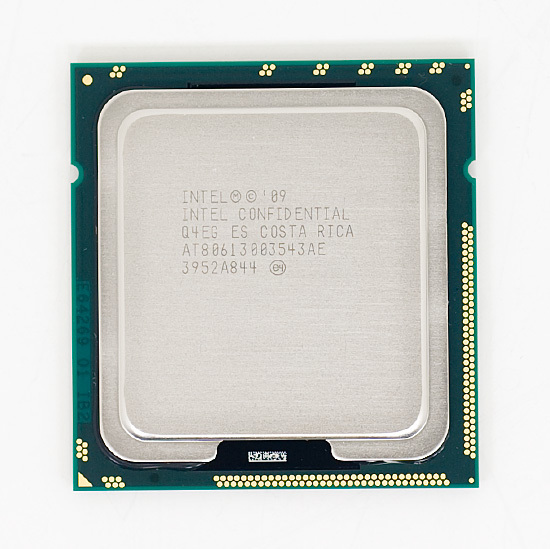 It’s rare that anything we review has the longevity that Intel’s Core i7 Bloomfield platform has enjoyed. 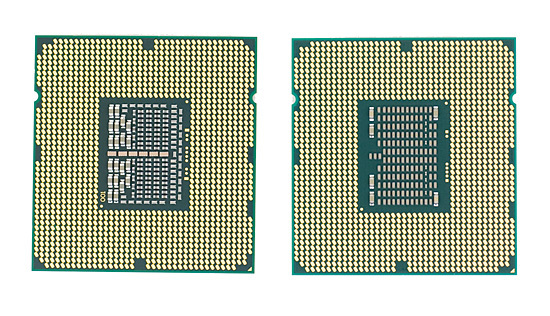 If you were one of the fortunate few to buy a Core i7 920, 940 or 965 back in November 2008, you’d still have one of the fastest desktop CPUs today in March 2010. Lynnfield was introduced in 2009, but still couldn't dethrone Bloomfield. 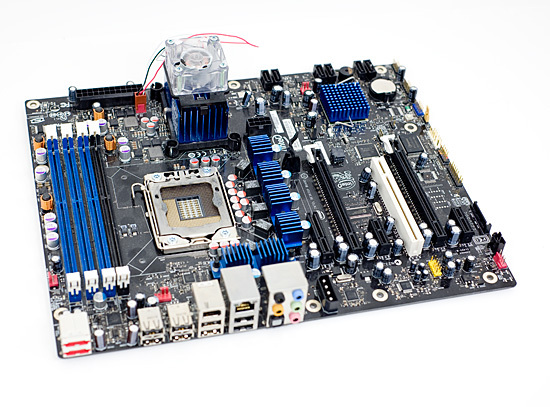 In fact, other than a few minor speed bumps, Intel hasn’t done much with its LGA-1366 platform in the past 15 months. Last year Intel introduced Nehalem for the rest of us with its LGA-1156 socket and in January we got the first dual-core derivatives. Now it’s finally time to take care of the folks who invested in Nehalem and Core i7 early on. In the coming weeks Intel will be shipping its first 6-core desktop processor, built using the same 32nm process used in the Clarkdale Core i3/i5 CPUs. It’s codenamed Gulftown but today we can call it the Core i7 980X. Did I mention that with a BIOS update it’s fully compatible with all X58 motherboards? That’s right, even if you bought a board in November 2008 - you can upgrade directly to Gulftown. 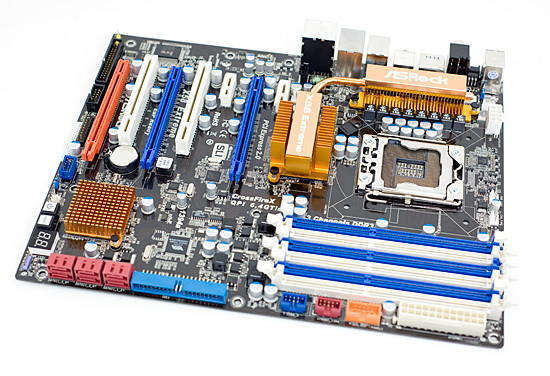 It’s the same exact board, but updated to the 5020 BIOS that’s currently available on Intel’s site. Intel was sneaky and actually enabled Gulftown support in its motherboards a few weeks ago. Intel’s Core i7 980X, running at 3.33GHz with 6 cores, 12 threads and a massive 12MB L3 cache all running on a motherboard that shipped a year and a half ago. The old board works mostly fine with the 980X but with some odd bugs and quirks that I ran into. I found that my older DDR3-1066 memory wouldn't overclock to 1333MHz with Gulftown, although it did just fine with Bloomfield for some reason. At 1.17 billion transistors, it’s a beefy chip but the monolithic die only measures 240mm^2. It’s even smaller than an AMD Phenom II X4. Not only does it have a smaller die than all quad-core Nehalem processors, but it also has the same TDP. 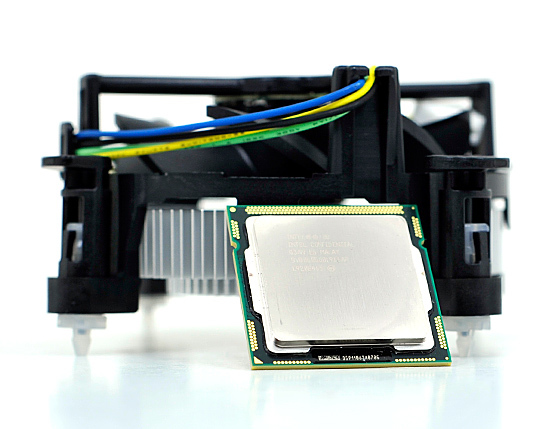 The 130W chip runs at 3.33GHz, but because of the high TDP it can only turbo up to 3.46GHz with more than two cores active. If only one or two cores are active, the chip can turbo up to 3.60GHz. With up to 6 cores running at 3.46GHz, Gulftown is not only the fastest CPU in Intel’s lineup, it’s also the fastest quad-core Intel makes. Only the Core i5 670 can run at a higher frequency with a single core active (3.73GHz vs 3.60GHz). The downside to all of this is the price tag. The Core i7 980X is an Extreme Edition processor, meaning it’s introduced at the $999 price point. And currently it’s the only way to get 6-cores in a Core i7. Currently Intel doesn't have any plans to introduce 4-core versions of Gulftown on the desktop, although we will see some 32nm quad-core Xeons later this year. This isn’t the first time that the $999 price tag comes with some exclusive features. 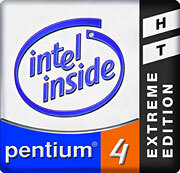 The first Pentium 4 Extreme Edition was the very first to wear the EE brand. While all regular Pentium 4s at the time had a 512KB L2, the Pentium 4 Extreme Edition added a 2MB L3 cache - a feature that never trickled down to the mainstream P4s. Since then, most Extreme Edition parts have just been higher clocked CPUs. Despite that, they do sell well enough for Intel to continue the practice. Given that this time around, the Core i7 980X will not only give you clock speed but more cores and cache, Intel will probably end up selling more of these than they ever have. of improvements over the older p4 manufacturing processes. if i absolutely had to have netburst, that's what i would want. i think it's really nice that Anand includes it in the comparison, because it gives a sense of history to the article, and it shows how much faster CPUs have gotten in such a short time. Weird, other sites managed to squeeze up to 4.4GHz of the 980X on air, and 4.7GHz on WC. I thought initially of different stability requirements from both parts, but bit-tech ran all their benchmarks at both 4400MHz and 4720MHz. Maybe Anand's DX58 isn't holding up so well after all. That's right, 3.7-3.8GHz is the full load limit of Intel's stock cooler with these beasts. We ran out of time to really push, but I'm sure we'll find out what these chips can do in due course. Is the new tower cooler an improvement in any way over the old one? Is it quieter, as it doesn't seem to offer more OC headroom.